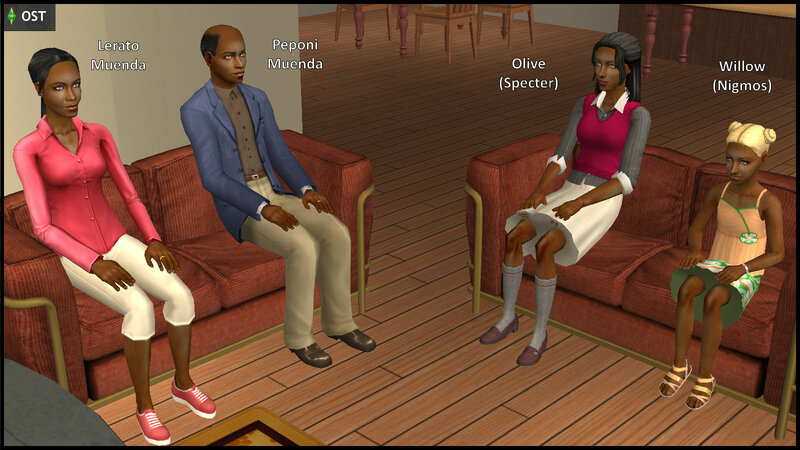 70 years before the start of STSYC, the sim who would later be known as “Olive Specter” came into the sim world as “Olive Muenda”, the first-born child of Peponi and Lerato Muenda. 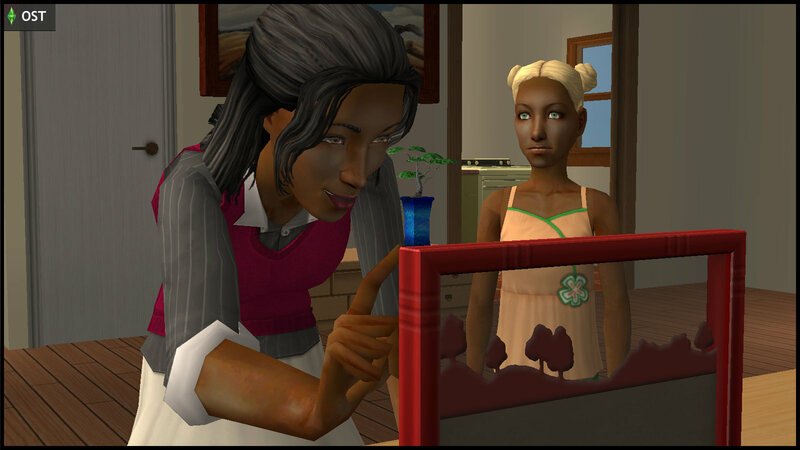 Five years later, Olive welcomed a younger sister, Willow Muenda, who would later become the mother of Ophelia Nigmos. 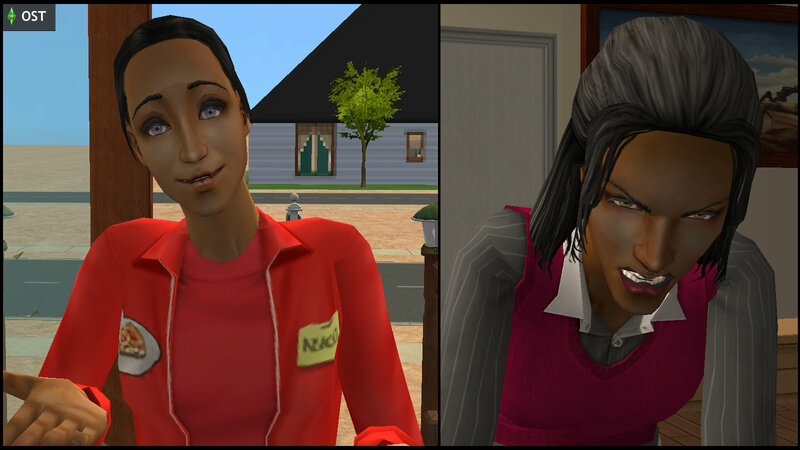 The Muenda sisters’ temperaments could not be more different. Olive was the precocious and rebellious one, while Willow was more conventional and obedient. Nonetheless, they got along reasonably well. One afternoon, when Olive was 15 and Willow was 10, they were at home alone. Olive was busy setting up an ant farm for her school project. As she had yet to bring the project to school, the teachers and her family were unaware that Olive had chosen a dangerous species of bulldog ants. 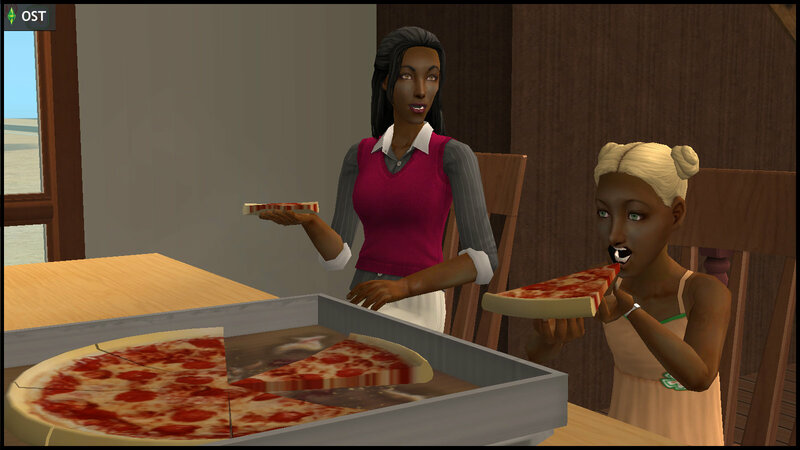 Since Willow was hungry, and the stove was broken, Olive decided to be a good older sister, and order a pizza. 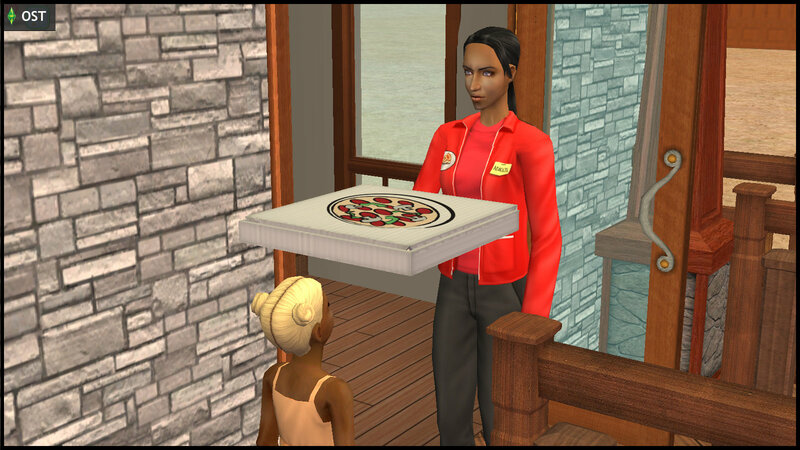 Danielle Greaves was sent to the Muenda house to deliver the pizza. As Willow paid for the order, Danielle caught sight of Olive with her ant farm, and made an off-color remark about Olive being a “school nerd”… a deadly error which did not escape Olive’s attentive ears. Olive “allowed” one of the ants to escape. It ran up to Danielle and bit her. 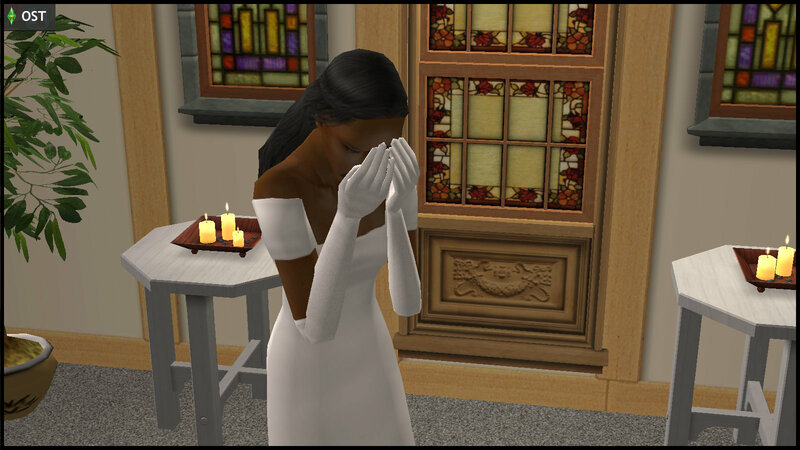 Willow did not understand how Danielle could suddenly be inflicted with spasms of pain that led to unconsciousness… and sudden death. Apparently, the ant poisoning depleted most of Danielle’s need bars, especially Hunger. That was also the first time Olive saw the dark-hooded figure who came to claim the pizza girl’s soul. She was deeply fascinated by his air of mystery. 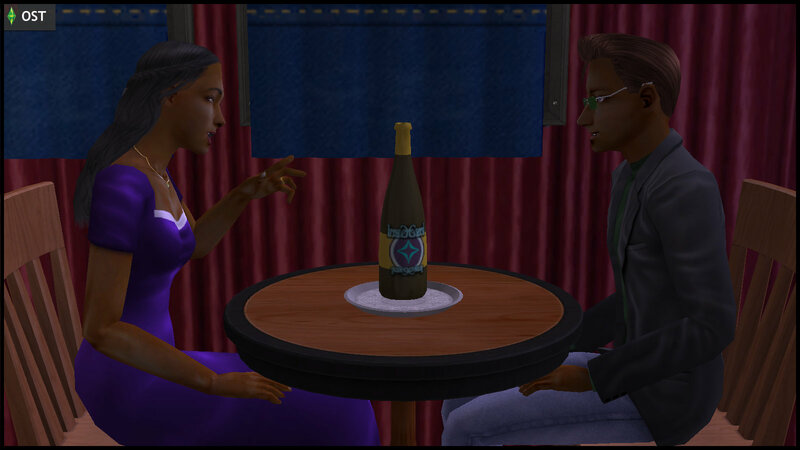 Olive tried her best to hide her satisfied moodlet, by calmly telling her sister that “bad things happen to those who make fun of Olive Muenda”. They quickly buried Danielle nearby, and agreed never to speak of this again. As Willow tried her best to drown out that terrifying memory with the fresh pizza, Olive released the bulldog ants into the wild, and returned with a more harmless species for her project. Do it quickly. Eliminate all evidence even more quickly. The last anyone ever heard of Danielle Greaves for a long time was the TV appeal for witnesses of her disappearance. Glarn Curious: Maybe the aliens abducted her! Kitty Curious: Even little Jenny (#) is too old for that sort of fairy tales. After that nasty accident, everything went back to normal. The rest of Olive’s teenhood went on smoothly. When she hit adulthood, she got a decently-paying job as a Projectionist… and a rich boyfriend. 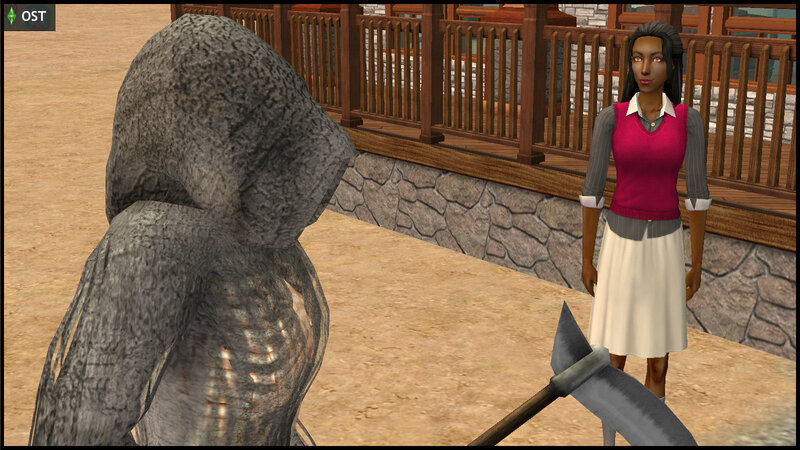 Olive met Earl E. DeMise at a nectary. 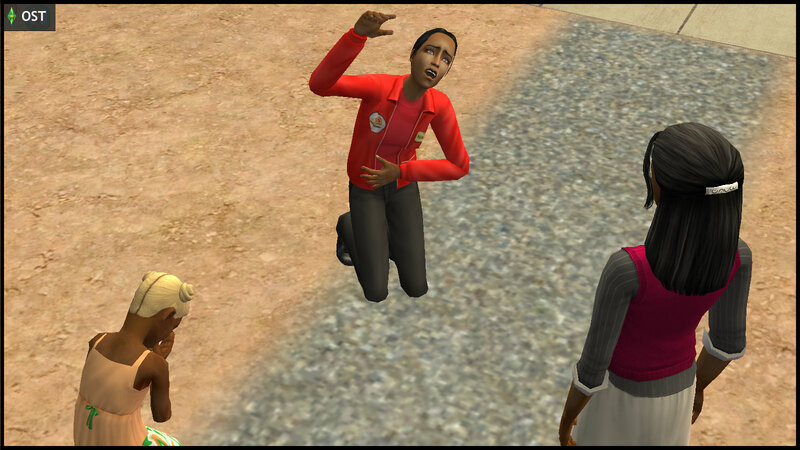 He was a travelling salesman, who had inherited a fortune of simoleons. His Eloquent and Jokester (^) traits made him a charming catch. 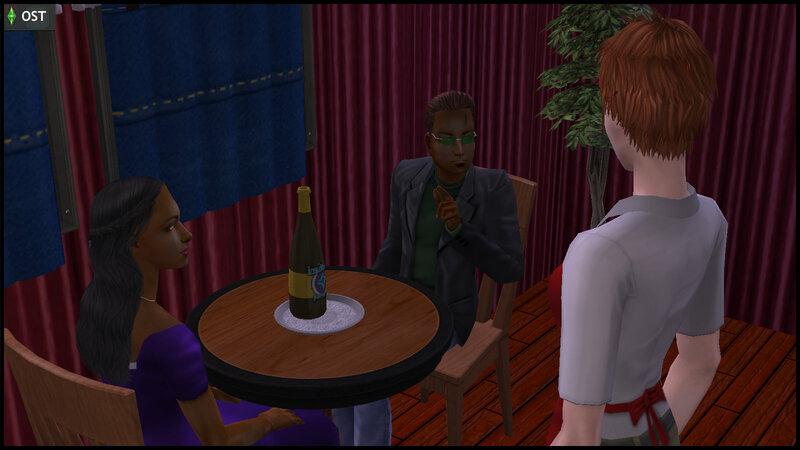 But he also admitted to Olive that he was a Misanthrope (^), which she could clearly notice from the way he treated other sims. “I can’t wait…” Earl E muttered tentatively under his breath. The smile on his face was giving him cramps. The wedding preparations went on so quickly. All Olive could think about was her future life with the charming man of her dreams, the life she dreamt about as a child. Olive: Where could he possibly be? We’ve been waiting for half an hour. Willow: It’s OK, Olive, he can be here any moment. Olive: C’mon, why isn’t he here yet? This is the most special day of our lives! Willow: I have no idea! Maybe he got into an accident? Willow: I don’t hope so! I’m sorry, I don’t know what to say! Olive went to a corner, and wept openly. Olive: (thinking) Accident, huh? I’ll make him have one if he doesn’t show up here now! A few minutes later, the guests began leaving. 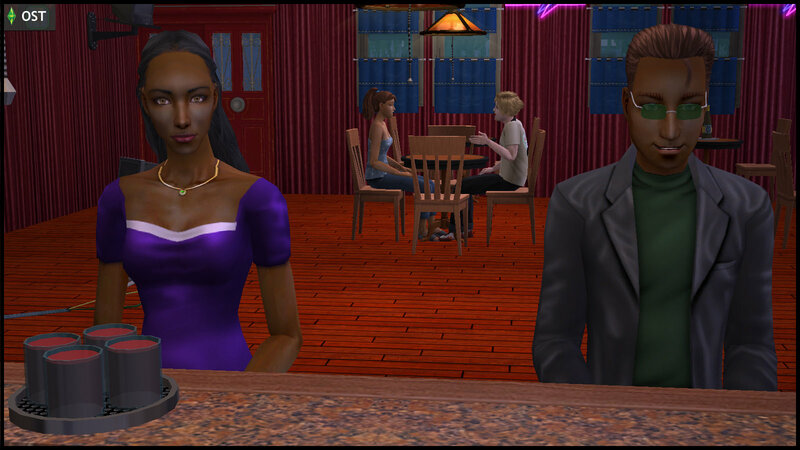 Olive changed back to her Everyday wear, and crept over to Earl’s house to check if he was at home. True enough, from her hiding place in the bushes, she spotted Earl E and his brother, Tim Lee DeMise, talking in the hot tub. Earl E: Yeah bro, I never want to see her ever again. She was so pushy, and expected me to live in her fantasy bubble. But I could never settle down with such a crazy chick anyway. I was just having her for fun, but she was always so serious. I’d rather marry a Crafthole (^) girl. They might be unclean, but at least they have a sense of humor, and they can brew the best Bloody Moss Ale (^). Tim Lee: I feel you. She wasn’t worth your time, you almost… Wait, look over there! That bush is on fire! Help me extinguish it! 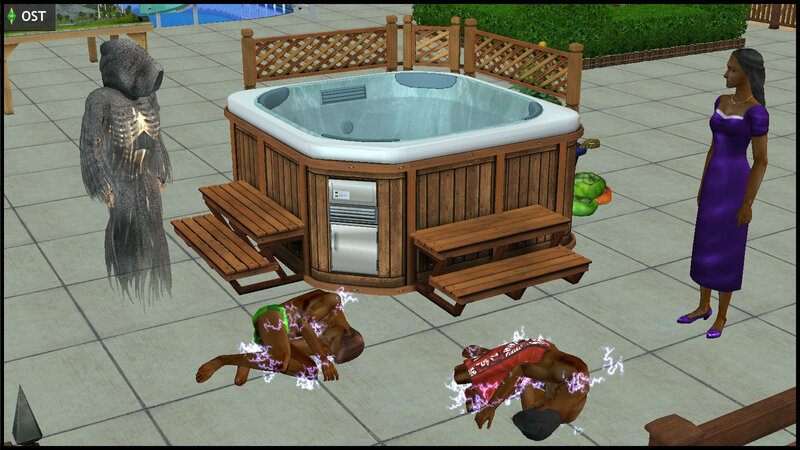 The DeMise brothers exited the hot tub, and ran to extinguish the fire. 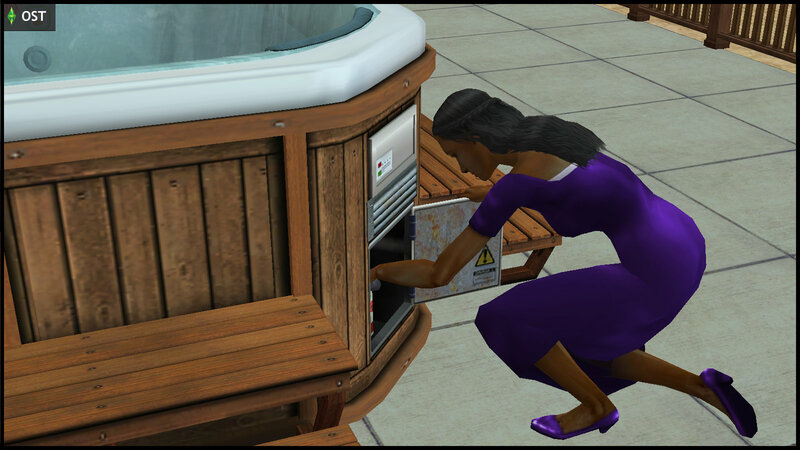 Olive quickly tampered with the hot tub, then rushed back into hiding. Earl E: Why would a bush burst into flames like that? Tim Lee: Maybe that crazy witch cast a spell on us. Earl E: Haha, maybe we’re Cursed for life (^) now! Pathetic. I expect a bag of flaming poo on our doorstep next. The DeMise brothers went back into the hot tub. Moments later, they both died by electrocution. 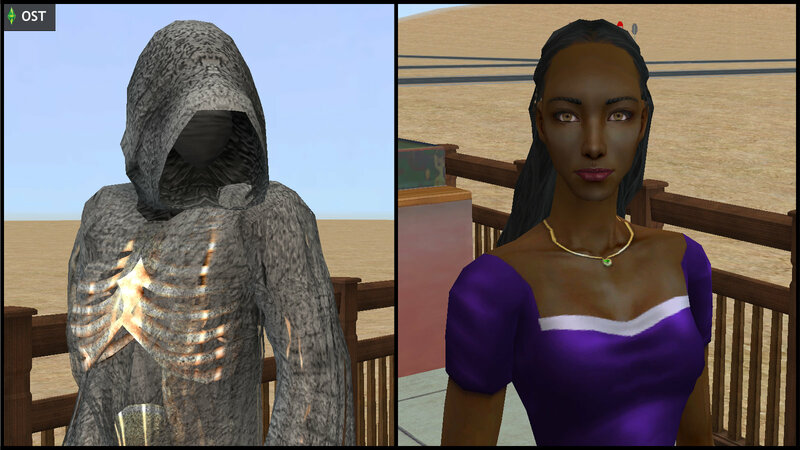 Olive stood staring at a familiar dark-hooded figure, who lingered longer to collect two sims’ souls at once. She was so awestruck that she could barely speak. 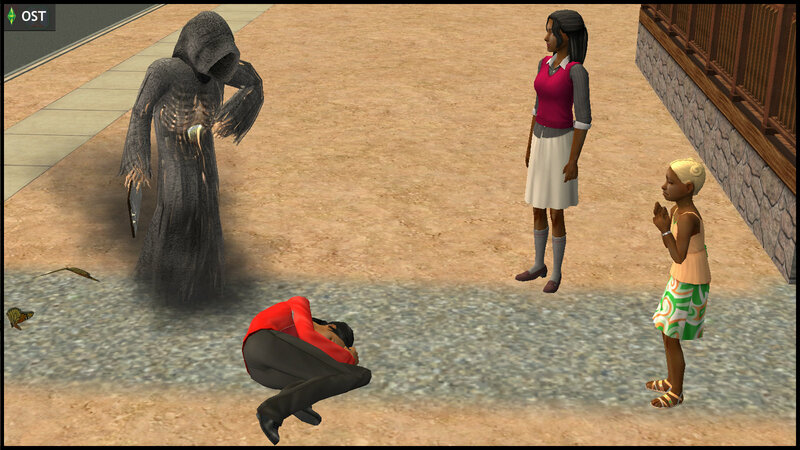 It had been a decade since she last saw the Grim Reaper, and she wondered when she could see him again. Olive wanted to cash in on Earl E’s money for herself. Sadly, he was a Compulsive Gambler (^), so all his money went into paying his debts. Olive could not take residence in his manor either, as Earl had already given it up as a collateral, since his money alone was not enough to pay the full debt. (^) References to the game Sims Medieval. (#) Jenny Smith was the only Curious sibling who was old enough to have any memory of the Danielle Greaves incident, as seen in STSYC #2. 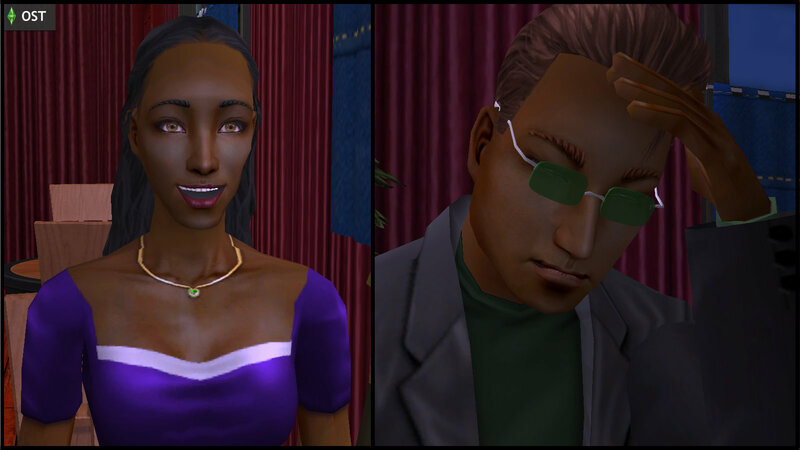 How would Olive’s experience with Earl E. shape her future romantic choices? How deep was her obsession with the Grim Reaper?